Pune: Honda Motorcycle & Scooter India Pvt. Ltd. today inaugurated its milestone 200th ‘Best Deal’ at Gagan Wings Honda in Pune, Maharashtra. 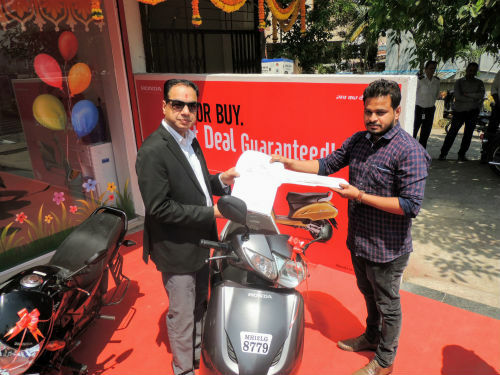 Honda 2Wheelers India pioneered the concept of certified pre-owned outlets – ‘Best Deal’. This is industry’s first organized retail set-up exclusively for pre-owned two-wheelers.